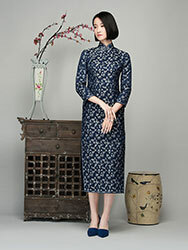 Description: traditional cheongsam dress, mandarin collar with opening at front. Three buttons are on the front. 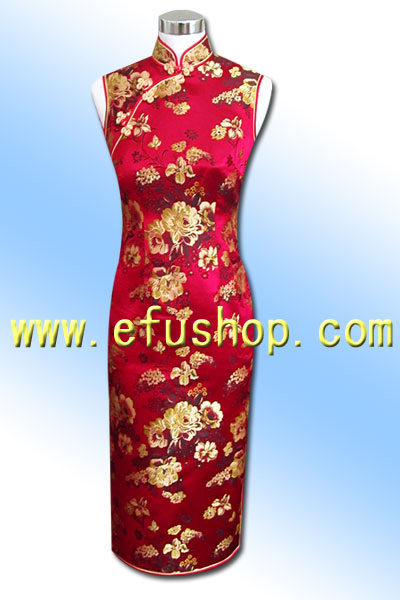 Red with yellow double piping. Sleeveless. Knee length. Fine tailoring, will fit you well!